A talented student sits behind a new drum set donated by the British Women’s Group. While IBSF has provided textbooks and many seasons worth of composition books to the Light Nursery and Primary School, it seemed the students preferred today’s delivery! 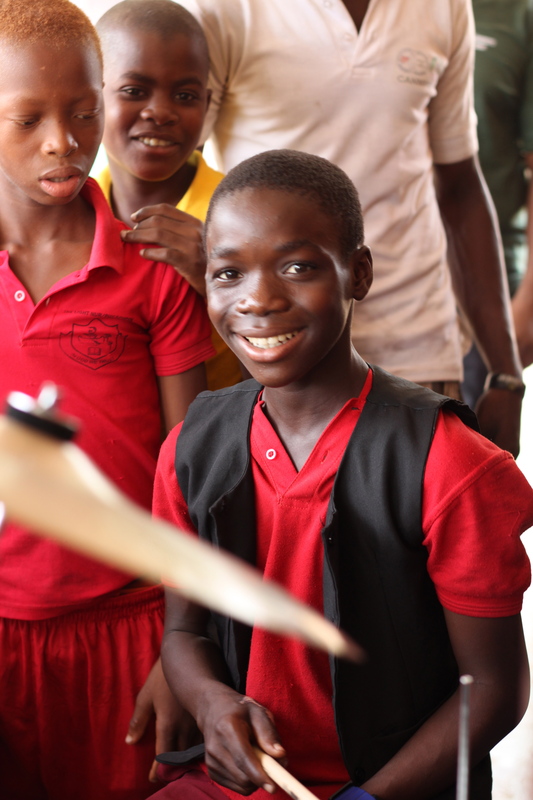 The British Women’s Group of Lagos donated a brand-new drum set to the school. You’ve never seen so many hands raised as we searched for volunteers to help us build the set. Even without a manual, they had it assembled in no time. There are some naturally talented drummers at the school, and the drums will be used to lead the students as they sing and dance at assemblies. Thank you, BWG! Posted in Light Nursery and Primary School, Thank YouBookmark the permalink.